London. A snowy December, 1888. Sherlock Holmes, 34, is languishing and back on cocaine after a disastrous Ripper investigation. Watson can neither comfort nor rouse his friend – until a strangely encoded letter arrives from Paris. 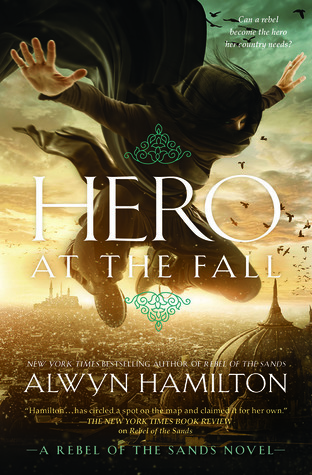 First, look at that cover. Take a moment to fully appreciate how absolutely beautiful it is. Okay, now that that’s out of the way let’s talk about the insides. I am a huge fan of the TV show, Sherlock and have loved reading the newest YA renditions and reworking of the classic Sherlock/Mycroft/Watson dynamics. 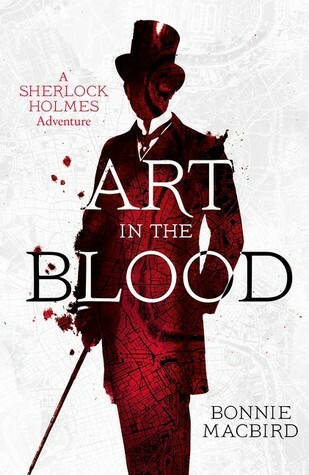 Art in the Blood pulls more from Sir Arthur Conan Doyle’s original works at least in stylistic terms. The time period as well as the writing feels very much like an added work to the older classics. Full disclosure–I’ve never actually read Doyle’s work (!!!). I know. This needs to change. Sherlock’s character was as expected- playing violin, brooding and genius. Since I’ve not read Doyle’s work I can’t adequately compare this version to the original but I had the impression MacBird incorporated many elements. In comparison to the more modern Sherlock renditions, I felt that this one was fairly accurate. One difference was that MacBird actually made her Sherlock not 100% right all the time. He made an error! The book followed from Watson’s point of view for the most part though we got a couple chapters from Sherlock’s. The pacing was a tad slower (especially in the beginning) than I expected with the action scenes spaced out. I felt that the mystery wasn’t one in which I needed to figure it out and sadly, I didn’t care what the outcome would be for most of the characters. I feel that there wasn’t enough suspense to really carry the mystery and left me feeling a tad bored in areas. I did, however, enjoy Sherlock and Watson. Their dynamic was exactly as I’d expect and want. The two start out at odds with Watson having been recently married. I do feel that because I’m such a fan of the TV show I was able to fill in gaps and imbue the characters with personality that I’m not sure was present in the writing. It was difficult to separate my own perceptions from what I was reading and I’d be interested to hear the opinion of a reader that was not a fan of the TV series. 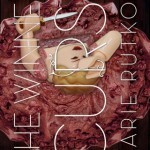 Art in the Blood lacked the suspense of the mystery that I expected but overall I did enjoy this book. I do think that my love of the TV show helped to fill in gaps in personality and helped to give me an easier time envisioning the story, especially with the newest episode (you really must watch the trailers!) being a more historical one. I saw that beautiful cover and that tag line by Mr. Neil Gaiman and was sold on wanting (needing) to read Magonia. Gaiman wrote, “she writes like a dream” and I’ll say he was spot on. Immediately upon starting this book I was impressed by Headley’s writing style. Her main character, Aza, has such a unique voice. She is cynical, maybe a bit bitter (?) yet completely likeable in her manner of handling all the problems she’s been thrown–and wow what a problem she had. 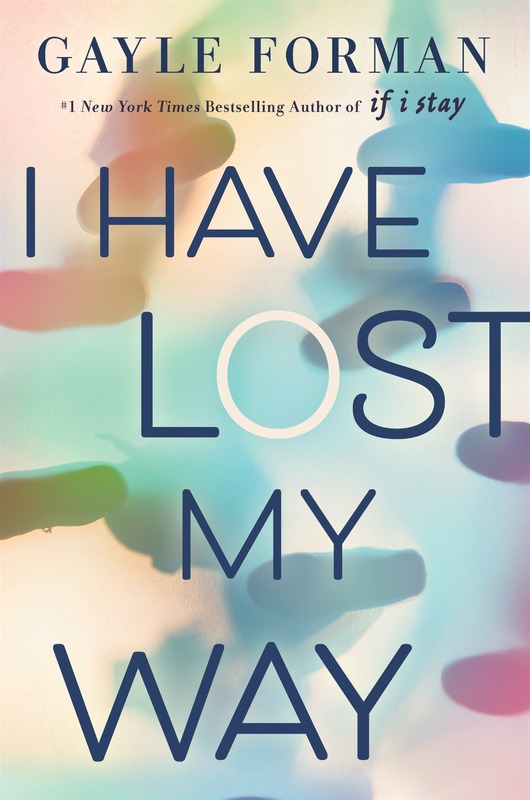 I can confidently say that until reading this book I’d never considered how it would feel to be suffocating. Through Headley’s writing I felt short of breath and really could understand Aza and her viewpoint. It was beautifully done, elegant, heart-breaking but not so melancholy I didn’t want to read it. Magonia flip flops between Aza and Jason (the best friend). I really loved both of these characters but I think I enjoyed reading from Jason’s view a tiny bit more (this became true even more as the novel progressed). I loved the workings of his mind and how he had strange tics that set him apart from any other character I’ve read. Also, he deals with something mid-way through the book that I recently experienced in my own way so I was very emotionally impacted by his POV. I completely and utterly loved the first third of this book. I really can’t think of how Headley could have created a stronger start for me. I was mesmerized by her prose, descriptions and story. 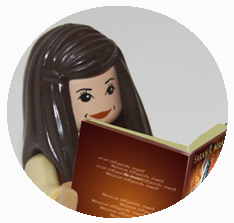 There came a moment…a big moment, where the story location changed and our main character became aware of her true nature. Once this took place my adoration lagged a bit. The descriptions of Magonia (the place) and the sky-ships were vivid and I could very clearly imagine what was occurring but certain things, though inventive, seemed a bit on the cheesy side for me. I sort of loved it but at the same time I didn’t. That’s completely unclear I know. This book was just so delightfully strange I can’t help but love it to some degree but at the same time I wasn’t nearly as into the middle to end of the novel. 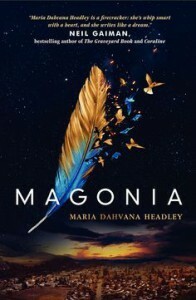 Though the people of Magonia are described well I wasn’t able to emotionally connect to them (or their plight) as well as I would have liked either. We don’t get a whole lot of information about them beyond the face value since they are all side characters. As for the romantic element- it was very slight but I could see the makings of a possible love triangle. Though, I can’t really say since who knows where the series will go next. Even though I had a few problems this book was so unique, creative and just plain strange. It held my interest without fail. I think this one will be incredible for some readers and others might struggle with just how strange it is. For me, I think I loved it. Reading it felt like opening my mind which is always a plus. Back to the strange elements…I wish I could go into detail about the birds, the sharks, the clouds, the UFOs referenced from history but that might spoil your reading experience. As time passes and I think back on this book (that is still very much part of my brain) I am convinced I enjoyed it even more upon reflection. I am convinced I’ll be rereading it at some point (not that long from now I suspect). It’s the type of book you can escape into because Headley’s descriptions and imagination are immensely unique. A copy of this book was provided to me by the publisher in exchange for an honest review. 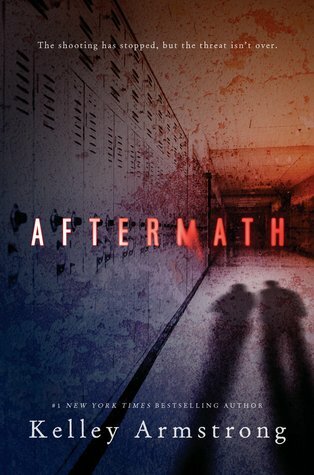 I’ve been reading more and more young adult thrillers lately and have found that generally they tend to be a tad predictable even if enjoyable. 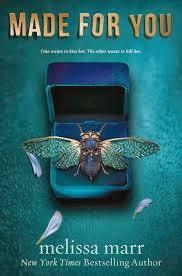 Melissa Marr’s Made for You kept me guessing and was a very entertaining read. I found the writing to be gripping and the story fast paced. My biggest issue with this book was that the build up for the big reveal was great but when things were finally presented it was underwhelming for me. Possibly, I felt like this because I never really connected with the characters on a deep level. The story alternates between three point of views, one being the killers. If done well, seeing the world from the killer’s point of view adds so much to the story. Marr did a great job in showing how sick the killer, called Judge, was. I looked forward to his disturbing insights. And seeing him single out his victims kept me flipping the pages. There was a romance in this book between Eva and her old friend from childhood Nate. I began the story really disliking Nate’s character but as the story progressed Marr was able to change my mind. I enjoyed reading these two’s interactions though I can’t say I was ever completely immersed in their lives. 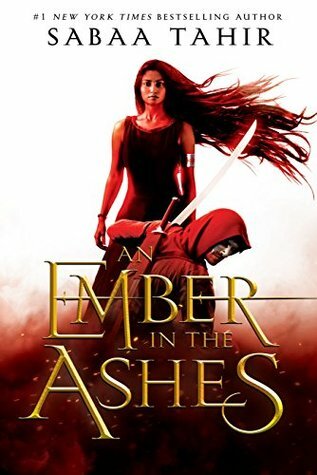 An aspect of this book I really enjoyed was that Eva woke from her injuries with ability to see people’s deaths by touching them. This added a very creative angle to what could have been an otherwise typical thriller. I also loved connecting what Eva saw with where the story was going. This enhanced the tension and kept me flipping the pages. So, as you can see, I was really interested in the storyline but I felt detached a bit from the characters. 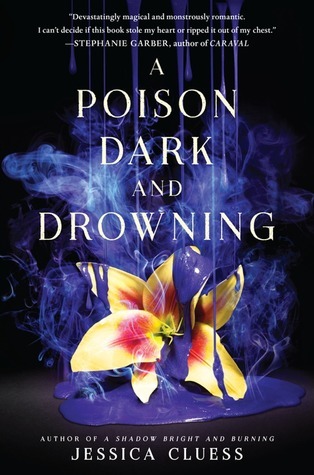 Overall Melissa Marr has written another intriguing story that was unpredictable, fast paced and featured a really creepy killer. 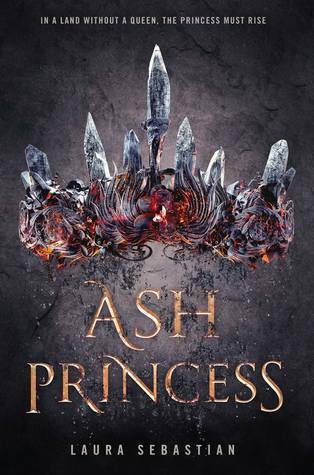 Though the build up was strong I felt that the climax of the book was overall a let down and I had trouble connecting with the characters. I have been a fan of this series since it began with Under the Never Sky, which will always be my favorite since it was my introduction to Rossi’s writing. With this series conclusion I was immediately swept up in Rossi’s world building and character interactions. 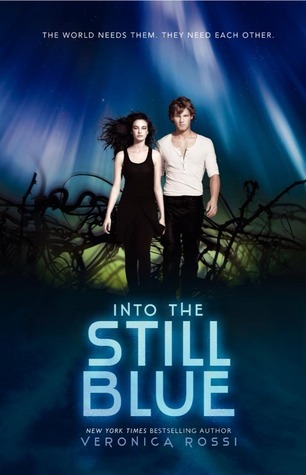 Into the Still Blue continued with all of the things I loved about the first two books and added a conclusion that I found to be satisfying if not a tad bit anti-climatic. 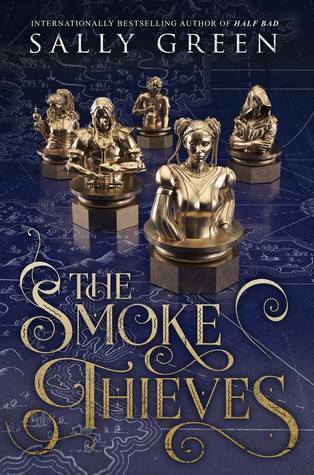 I felt that the story was equally full of wrapping up loose threads, action and building on the character’s development within themselves and with each other. Though I did not reread the prior books I had no problem slipping back into Aria and Perry’s story. It’s hard for me to really speak of any details concerning plot since there would be spoilers, but suffice it to say I was pleased with the outcome. I love the story that Rossi has created but the characters in this series really are the reason I love it so much. The relationship between Perry and Aria is very realistic and I feel that it matures as they do. I love that they had growing pains and problems but there wasn’t unnecessary drama. Their relationship was refreshing because of their affection, respect and treatment of one another. Roar and Aria had a friendship and dynamic that I don’t recall finding in young adult before; a male and female relationship that was strictly platonic though there was real deep-seeded affection between the two. I loved how their dialog was easy going and how they bounced off one another. Roar, in general, had some of the best dialog through out the series. I think it’s safe to say that he was able to steal all of our hearts. I found Perry’s relationship with Cinder to be incredibly heartbreaking because of the emotional blocks each had to overcome. Really, each character was developed and had substantial growth over the duration of the three books. Having read their stories, I feel a connection to each of them that I won’t soon forget. Anyone that has been a fan of the series will enjoy this final book. Rossi treats her readers to a fully thought out conclusion to a story that has swept so many of us away. I am so curious about what project she has up next. Anyone know? Eva and Addie started out the same way as everyone else—two souls woven together in one body, taking turns controlling their movements as they learned how to walk, how to sing, how to dance. But as they grew, so did the worried whispers. Why aren’t they settling? Why isn’t one of them fading? The doctors ran tests, the neighbors shied away, and their parents begged for more time. Finally Addie was pronounced healthy and Eva was declared gone. Except, she wasn’t . 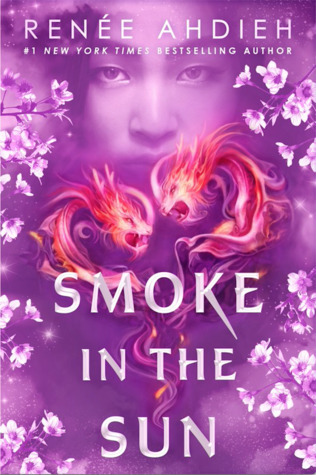 . .
Zhang created a very unique idea in this novel, having two souls sharing one body. The implications of living like that and how everyday situations would be different was intriguing. Where I couldn’t follow was that questions I had were never answered. I needed to know why people were born this way and why after time the souls ‘settled’ leaving only one soul where two had been. I felt that the pacing was slow but not dull. We followed Addie and Eva through their normal life and the stresses of being different yet having to hide it from everyone, even those you love. Zhang did an excellent job giving each a voice that was uniquely theirs and desires and needs that varied. I was never confused whom I was following or what their motivation was. I found the dialog between the two very intriguing and overall it kept my interest. Near the middle, the pacing picked up yet slowed again for the last third. This section was too slow for my liking and I was eager for the story to wrap up and for some conclusion to be made. Zhang succeeded in creating an antagonist I disliked. She gave them all the bad but I never understood their motivations for what they were doing so I didn’t feel they were very well rounded. Though I wanted more world building I believe that many of my lingering questions will be addressed in the next book, Once We Were.